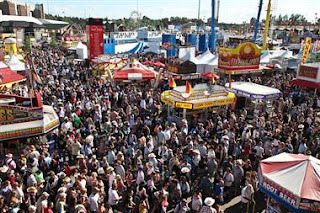 The Calgary Stampede is officially over. 100 years in the making and I don't know if some people's bodies will ever recover. Maybe in their next life...or two. I have yet to hear of anyone dying from stupidity, but it is completely possible. There had to have been hundreds of brushes with death at least. If you made it through...hats off to you! 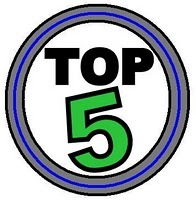 Besides liquid driven debauchery, there were some other interesting stories to come out of this year's festivities that do not involve the heat wave we encountered. 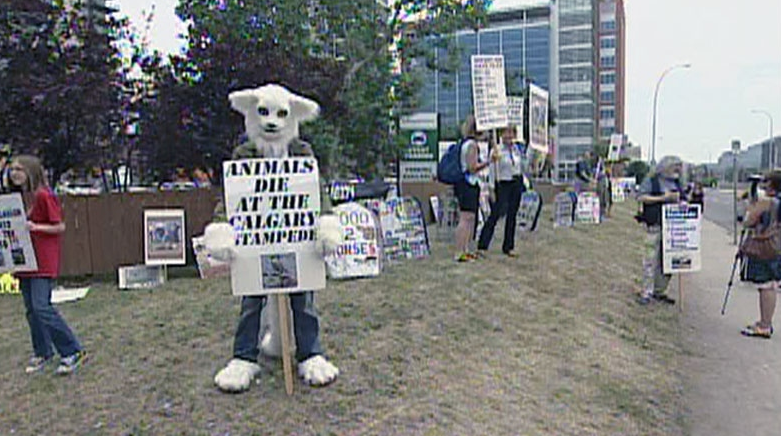 It wouldn't be the Calgary Stampede without some animal rights controversy. 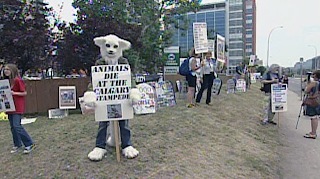 If you took the train to the Stampede grounds during the last three days there is a pretty good chance you saw the animal rights protesters on the other side of the street giving the bird to the rodeo and the Chuckwagon racers. This happened after the death of the 3 horses at the Chucks on Thursday. Sad for the horses, but we all know how I feel about the protesters. No, just no. I heard the first Saturday of the festivities there was a girl who was tasered at Nashville North. The reports are a little inconsistent, as I heard from one person that the girl was inside the tent, and another said it was outside. Whatever the case...a chick got tasered. I am so jealous. I wish I was there to see it. I also heard that no one got tasered, which is completely possible as well, but whenever there is a situation where someone may have been tasered or not, I generally like to go with the former. (The picture above is someone passed out at a C-Train station - not related, but still funny). 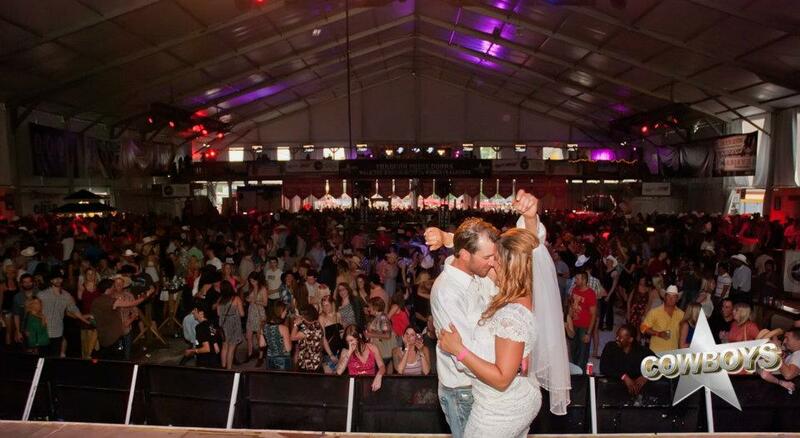 There was a wedding on the Cowboys stage the second Saturday of Stampede. 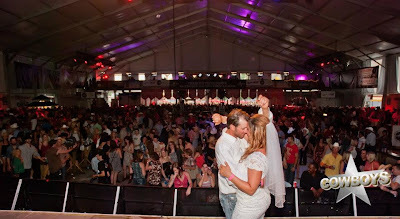 When I first heard about this it was described to me as a couple that had just met at Stampede and decided to get married, then I found out later it was Stephen Cote and Dannah Pituello, who had actually met at Cowboys 11 years ago and entered a radio contest to get married during Stampede. That is so gross. I hope they get a Stampede Baby out of it. There is 'Stampede Stupid', which includes mass amounts of alcohol consumption - and then there is just plain dumb. 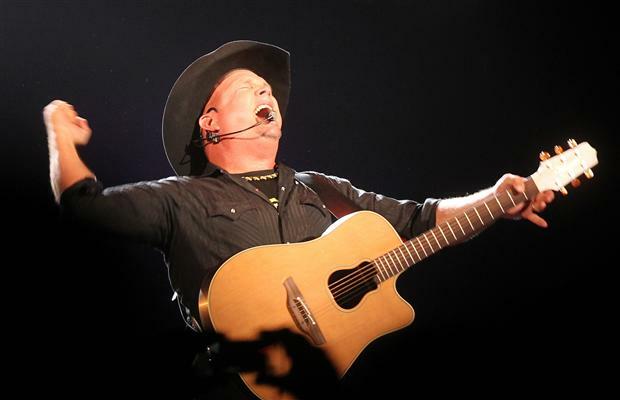 Dozens of people filed police complaints after they were turned away at the Saddledome on Thursday for the sold out Garth Brooks show. People had been scalping tickets to the show about ten minutes after they went on sale for outrageous prices and, since Garth has die hard fans, a lot of people shelled out the big bucks to see the man in action. Unfortunately for them there is ALWAYS a risk that your tickets won't be legit and some criminals cashed in on that. The fact that people actually went to the police about it is HILARIOUS. You bought illegal tickets and they turned out to be fake...do you seriously expect anyone to do anything about that? Get it together. Until next year Stampeders...stay safe, hang your hat and buy your preggo tests while supplies last! A guy was knocked out by a girl half his size by the Anderson train station!